City of Death is the second serial of the seventeenth season of the British science fiction television series Doctor Who , which depicts the adventures of a time-travelling humanoid alien known as the Doctor. It was produced by the BBC and first broadcast in four weekly parts between 29 September 1979 and 20 October 1979 on BBC1. The serial was written by "David Agnew" – a pseudonym for David Fisher, Douglas Adams, and Graham Williams – and directed by Michael Hayes. The seventeenth season of British science fiction television series Doctor Who began on 1 September 1979 with the story Destiny of the Daleks, and ended with The Horns of Nimon. City of Death features the Fourth Doctor (Tom Baker) and his companion Romana (Lalla Ward). Set mainly in Paris in 1979, the plot concerns a scheme by an alien, Scaroth (Julian Glover), to steal the Mona Lisa to finance experiments in time travel in the hope of averting the accident that killed the remainder of his race four hundred million years previously, which began the existence of life on the planet as well. The Fourth Doctor is an incarnation of the Doctor, the protagonist of the BBC science fiction television series Doctor Who. He was portrayed by Tom Baker. The serial's original storyline was devised by Fisher but was heavily re-written by script editor Adams, aided by producer Williams. It was the first Doctor Who serial to film on location outside of the United Kingdom; the production team worked in Paris during April and May 1979. The studio work was completed in June. A script editor is a member of the production team of scripted television programmes, usually dramas and comedies. The script editor has many responsibilities including finding new script writers, developing storyline and series ideas with writers, and ensuring that scripts are suitable for production. The script editor will work closely with the writer at each draft of the script, giving the writer feedback on the quality of the work, suggesting improvements that can be made whilst also ensuring that practical issues like show continuity and correct running time are adhered to. Unlike the writers, script editors will usually be full-time members of the production team, working closely with the producer, if the script writer is not a producer. A filming location is a place where some or all of a film or television series is produced, in addition to or instead of using sets constructed on a movie studio backlot or soundstage. In filmmaking, a location is any place where a film crew will be filming actors and recording their dialog. A location where dialog is not recorded may be considered as a second unit photography site. Filmmakers often choose to shoot on location because they believe that greater realism can be achieved in a "real" place; however, location shooting is often motivated by the film's budget. Many films shoot interior scenes on a sound stage and exterior scenes on location. While in Paris, the Doctor and Romana sense the effects of time distortion. They observe the Countess Scarlioni using an alien device to scan the security systems housing Leonardo da Vinci's Mona Lisa at the Louvre. The pair meet Inspector Duggan, who suspects the Countess to be involved in an ongoing art theft scheme with her husband, Count Scarlioni. Duggan joins the Doctor and Romana in investigating the Scarlioni mansion. There, they find equipment used by Dr. Kerensky to experiment in time, the source of the time distortions, as well as six exact copies of the Mona Lisa. The Doctor instructs Romana and Duggan to continue investigating here while he returns to the TARDIS to visit Leonardo, a good friend of his. After the Doctor leaves, the Count returns after successfully stealing the Mona Lisa, and captures Romana and Duggan. Learning that Romana is familiar with time, he kills Dr. Kerensky and forces Romana to continue the tests. In the past, the Doctor arrives at Leonardo's home but is captured by Captain Tancredi, who appears identical to Count Scarlioni. Tancredi reveals he is really Scaroth, a member of the Jagaroth race. They had arrived on Earth 400 million years ago, but due to an explosion in their craft, all of the others died and his own body was fragmented across time. Collectively, the fragments of Scaroth have manipulated humanity so that by the 20th century, they will have technology that will enable him to go back in time to stop the explosion. 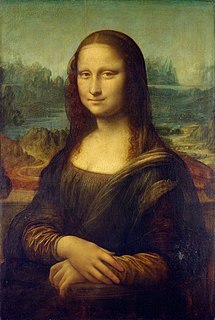 Tancredi is currently employing Leonardo to create copies of the Mona Lisa as to finance Scarlioni's work. After Tancredi leaves, the Doctor knocks out his captor, marks the blank canvases with a felt-tip pen, and leaves a message to Leonardo to paint over his writing before returning to the present. The Doctor learns Scaroth threatens to destroy Paris if Romana does not continue the work. He tries to gain the Countess' help by showing the Count's true form, but he kills her. Romana completes the adjustments, and Scaroth uses it to travel to the past. The Doctor quickly ushers Romana and Duggan to the TARDIS, fearing that the ship's explosion was the spark that started the development of life on Earth, and if Scaroth should prevent it, humanity would not come about. They arrive in time for Duggan to knock Scaroth out before he can reach the ship. Scaroth's body returns to the present, and when his alien form is discovered by his bodyguard, they get into a fight that damages the equipment and sets the mansion on fire, killing them both. By the time the Doctor, Romana and Duggan arrive, the original Mona Lisa and 5 of the 6 copies have been burnt, but the last copy remains safe. Duggan argues that they've lost an invaluable piece of art, but the Doctor assures him that the copy, still done by Leonardo's hand, will go unnoticed, and that art is worthless if its monetary value is all that matters. The Doctor and Romana say goodbye to Duggan at the Eiffel Tower. The episode was co-written by Douglas Adams. 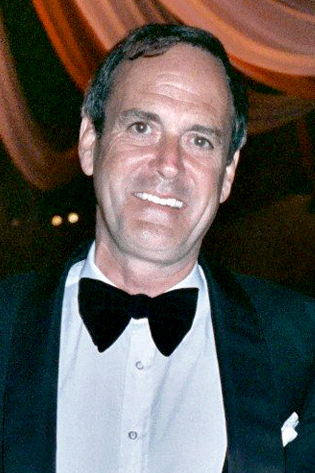 City of Death features a cameo by comedian and actor John Cleese. The Pirate Planet is the second serial of the 16th season in the British science fiction television series Doctor Who, which was first broadcast in four weekly parts on BBC1 from 30 September to 21 October 1978. It forms the second serial of the Key to Time story arc. It was written by Douglas Adams, and featured some of his humour. Shada is an unaired serial of the British science fiction television series Doctor Who. It was intended as the final serial of the 1979–80 season but was never completed, owing to strike action at the BBC during filming. The Trial of a Time Lord is a 14-part science fiction serial in the British science fiction television series Doctor Who. The serial, produced as the show's twenty-third season, aired in weekly episodes from 6 September to 6 December 1986. The only Doctor Who presentation of its kind, it contains four adventures: The Mysterious Planet, Mindwarp, Terror of the Vervoids, and The Ultimate Foe – Colin Baker's final story. Terror of the Vervoids is the third serial of the larger narrative known as The Trial of a Time Lord which encompasses the whole of the 23rd season of the British science fiction television series Doctor Who. It was first broadcast in four weekly parts on BBC1 from 1 to 22 November 1986. The title Terror of the Vervoids is never used on screen and was first used in relation to these episodes for the 1987 novelisation, with the four episodes that comprise the season being referred to as The Trial of a Time Lord Parts Nine to Twelve. This serial is the first appearance of Bonnie Langford as the companion Mel Bush. The Ultimate Foe is the fourth and final serial of the larger narrative known as The Trial of a Time Lord which encompasses the whole of the 23rd season of the British science fiction television series Doctor Who. It was first broadcast in two weekly parts on BBC1 on 29 November and 6 December 1986. This segment is also cited in some reference works under its working title of Time Incorporated. The title The Ultimate Foe is never used on-screen and was first used in relation to these episodes for the 1988 novelisation, with the two episodes that comprise the serial being referred to as The Trial of a Time Lord Parts Thirteen and Fourteen. This was the last story to feature Colin Baker as the Sixth Doctor, as Baker declined to do the regeneration for the following story, Time and the Rani. The Key to Time is the umbrella title of the sixteenth season of Doctor Who. The arc was originally conceived by producer Graham Williams, who had proposed it as part of his application for the producer's job in 1976. The name refers to the powerful artefact, the segments of which are what the Fourth Doctor and his companions, Romana and K9 search during the season. Graham Williams was an English television producer and script editor. He produced three seasons of the BBC science fiction television series Doctor Who during Tom Baker's era as the Fourth Doctor. The Power of Kroll is the fifth serial of the 16th season of the British science fiction television series Doctor Who, which was first broadcast in four weekly parts on BBC1 from 23 December 1978 to 13 January 1979. Destiny of the Daleks is the first serial of the 17th season of the British science fiction television series Doctor Who, which was first broadcast in four weekly parts on BBC1 from 1 September to 22 September 1979. The story introduces Lalla Ward as the newly regenerated Romana. Gareth John Pritchard Roberts is a British television screenwriter and novelist, best known for his work related to the science-fiction television series Doctor Who. He has also worked on various comedy series and soap operas. David Fisher was a British professional writer for television. He wrote the scripts for four serials of Doctor Who. The Highlanders is the completely missing fourth serial of the fourth season in the British science fiction television series Doctor Who, which was first broadcast in four weekly parts from 17 December 1966 to 7 January 1967. This serial is the first appearance of Frazer Hines as companion-to-be Jamie McCrimmon. Although audio recordings, still photographs, and clips of the story exist, no episodes of this serial are known to have survived. Blake's 7 is a British science fiction television programme that was produced by the British Broadcasting Corporation (BBC) for its station BBC1. Set in the far future, Blake's 7 follows the fortunes of a group of rebels in their fight against the dictatorial Terran Federation Four thirteen-episode series were produced between 1978 and 1981. Blake's 7 was created by Terry Nation, who later described it as "The Dirty Dozen in space” David Maloney was assigned to produce the series and Chris Boucher was appointed as the script editor. Gareth Thomas was cast as the eponymous Blake. The series' budget was severely restricted, which limited the scope for visual effects. ↑ "BBC – Doctor Who Classic Episode Guide – City of Death – Details". 1 2 Strading & Morris, Paris in the Springtime. 1 2 Barnes, The Fact of Fiction. City of Death. 1 2 Wiggins, Production Notes, Part One. 1 2 Bahn, Christopher (8 January 2012). "City of Death". The A.V. Club . Retrieved 31 July 2012. 1 2 Wiggins, Production Notes, Part Four. 1 2 Pixley, Archive Extra. City of Death, p. 38-39. ↑ Marson, Richard (May 1984). "Lalla Ward Interview". Doctor Who Magazine (88): 20–24. ISSN 0957-9818. ↑ Cook, Benjamin (3 March 2004). "Across the Universe...". Doctor Who Magazine (340): 14–19. ISSN 0957-9818. ↑ "Ratings Guide". Doctor Who News. Retrieved 28 May 2017. 1 2 3 Wiggins, Production Notes, Part Three. ↑ Cornell, Paul (3 June 1998). "The DWM Awards: City of Death". Doctor Who Magazine (265): 14–15. ISSN 0957-9818. ↑ Haines, Lester (17 September 2009). "Doctor Who fans name best episode ever". The Register . Retrieved 10 August 2012. ↑ "The Top 10 Doctor Who stories of all time". Doctor Who Magazine. 21 June 2014. Retrieved 21 August 2014. ↑ "The 10 greatest episodes of Doctor Who ever". The Daily Telegraph . 2 July 2008. Retrieved 14 October 2012. 1 2 Howe & Walker, The Television Companion, p, 478. 1 2 Bishop, Vanessa (7 December 2005). "Off The Shelf". Doctor Who Magazine (363): 60–61. ISSN 0957-9818. ↑ Pritchard, Michael (1 February 2005). "The Time Team". Doctor Who Magazine (365): 55–57. ISSN 0957-9818. ↑ Anders, Charlie Jane (29 May 2012). "10 TV Episodes that Changed Television". io9 . Retrieved 24 June 2012. ↑ Russell, Gary (15 May 1991). "Off The Shelf". Doctor Who Magazine (173): 18–19. ISSN 0957-9818. ↑ Bishop, Vanessa (30 May 2001). "The DWM Review". Doctor Who Magazine (304): 45. ISSN 0957-9818. 1 2 Mulkern, Patrick (14 February 2011). "Doctor Who: City of Death". Radio Times . Retrieved 5 August 2012. 1 2 Howe, David J. (2007). "Appendix C: Off Target". The Target Book: The History of the Target Doctor Who Books. Tim Neal. London: Telos. p. 150. ISBN 978-1-84583-023-6. ↑ Roberts, Gareth (2 October 2013). "Twitter: OldRoberts953". Twitter . Retrieved 3 October 2013. ↑ "Gareth Roberts is Novelising "City of Death"". SFX . 7 October 2013. Retrieved 12 October 2013. ↑ "Doctor Who: City of Death: Amazon.co.uk: Douglas Adams, James Goss: Books". ↑ "Gareth Roberts on Twitter: "Bit of news: the amazingly talented @gossjam is now doing the book of City Of Death. It'll be fantastic!"" . Retrieved 21 October 2014. ↑ "Doctor Who News: Gareth Roberts no longer writing City of Death book". The Doctor Who News Page. Retrieved 21 October 2014. ↑ "Doctor Who: City of Death (Target Collection) by James Goss". penguin.com.au. Archived from the original on 13 November 2017. Retrieved 12 November 2017. ↑ Roberts, Steve; Jonathan Wood; Mark Ayres (8 August 2005). "City of Death". Doctor Who Restoration Team. Archived from the original on 6 August 2007. Retrieved 23 May 2007. ↑ "Doctor Who: City Of Death (4th Doctor TV Soundtrack)". AudioGO . Retrieved 3 January 2013. ↑ Marcus (2018-04-21). "Vinyl Releases for Record Store Day". Doctor Who News Page . Retrieved 2018-04-26. ↑ Haining, Peter (1988). "Designs on Doctor Who". 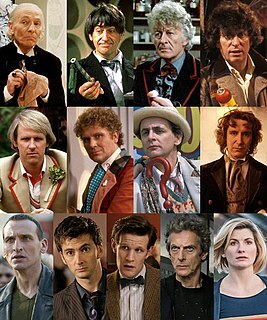 Doctor Who: 25 Glorious Years. London: W. H. Allen. pp. –. ISBN 1-85227-021-7. ↑ Pixley, Archive Extra. City of Death, p. 39. "David Agnew" (writer); Michael Hayes (director); Graham Williams (producer) (29 September – 20 October 1979). "City of Death". Doctor Who. Season 17. Episode 105. BBC. BBC1. Barnes, Alan (8 December 2004). "The Fact of Fiction. City of Death". Doctor Who Magazine (350): 16–23. ISSN 0957-9818. Gaiman, Neil (2003). Don't Panic. Douglas Adams and the Hitchhiker's Guide to the Galaxy (2nd ed.). London: Titan Books. ISBN 1-84023-742-2. Hayes, Michael, Tom Chadbon, Julian Glover (2005). City of Death DVD Commentary (City of Death DVD Special Feature). London: 2|entertain. BBCDVD1664. Howe, David; Stephen James Walker (2003). The Television Companion. The unofficial and unauthorised guide to Doctor Who (2nd ed.). London: Telos. ISBN 1-903889-52-9. Howe, David; Stephen James Walker; Mark Stammers (2005). The Handbook. The unofficial and unauthorised guide to the production of Doctor Who. London: Telos. ISBN 1-903889-96-0. Lofficier, Jean-Marc (1981). The Doctor Who Programme Guide — Volume 2: What's What and Who's Who. London: Target Books. ISBN 0-426-20142-6. Miles, Lawrence; Tat Wood (2004). About Time 4: The Unauthorized Guide to Doctor Who (Seasons 12 to 17). Illinois: Mad Norwegian Press. ISBN 0-9759446-3-0. Pixley, Andrew (27 October 1993). "Archive Feature. Serial 5H. City of Death". Doctor Who Magazine (205): 23–30. ISSN 0957-9818. Pixley, Andrew (22 December 2004). "Archive Extra. City of Death". Doctor Who Magazine Special Edition (9 – The Complete Fourth Doctor Volume Two): 37–39. ISSN 0963-1275. Simpson, M. J. (2003). Hitchhiker. 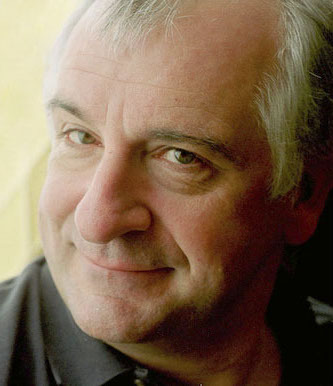 A biography of Douglas Adams. London: Hodder and Stoughton. ISBN 0-340-82488-3. Stradling, Ed (producer); Morris, Jonathan (writer) (2005). Paris in the Springtime (City of Death DVD Special Feature). London: 2|entertain. BBCDVD1664. Wiggins, Martin (2005). Production Notes (City of Death DVD Special Feature). London: 2|entertain. BBCDVD1664.